Perception is not reality. Reality is still reality. The great thing about the Internet is, when people do really dumb stuff, we all get to find out about it … and maybe even learn something. Well, hello there. 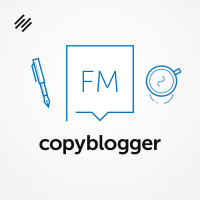 Good to see you again, and welcome back to Copyblogger FM, the content marketing podcast. Copyblogger FM is about emerging content marketing trends, interesting disasters, and enduring best practices, along with the occasional rant. My name is Sonia Simone. I’m the chief content officer for Rainmaker Digital, and I like to hang out with the folks who do the heavy lifting over on the Copyblogger blog. You can always get extra links, extra resources, and the complete show archive by visiting Copyblogger.FM. So, a little bit more interesting disaster fun for you today on Copyblogger FM, and we’re going to start by talking about the Fyre Festival. If you haven’t heard about this, it was billed as a hedonistic ultra-luxury music festival, and it ended up kind of more like Lord of the Flies with bad sandwiches and no music. The Fyre Festival was heavily, heavily promoted through what’s called influencer marketing, and, roughly speaking, that means that supermodels were given money to talk the festival up on their Instagram accounts and make it seem like the kind of place that supermodels would want to be, and if you liked supermodels, you could go be there as well. The whole Fyre Festival thing really feels to me like a painful example of this “perception is reality” trend. You know, the post-truth trend, the “fake news and alternative facts” trend. And, you know, just in case you think that that’s a knock on the political right wing, trust me, the left wing has as much claim to this as the right does. And Instagram, with its culture of curated reality, is really at the forefront of a lot of this kind of alternative reality. Now, I like Instagram. Instagram is really good for certain things, like if you have an interest in the visual arts, there’s a ton of artists there, and so that’s quite cool. But there’s also, I think we all know, a group of very good-looking young people who pay photographers to follow them around, and that’s a job now. You know, being good-looking and appearing to have a great life is a job now. And in the real world, there was an island that didn’t have the basic infrastructure you need to run a big music festival. It didn’t have security, it didn’t have electricity, it didn’t have enough drinking water, and it didn’t have the massive funds and the hyper, hyper competent teams that would be needed to make those things materialize in actual reality. So, if you enjoy reading about other people’s bad decisions, Chloe Gordon wrote a wonderful one for New York Magazine about this event. She was brought on as a talent producer, I think, and detailed some of the ways in which reality-reality kept diverging from the beautiful Instagram-ready image that they convinced themselves of. And I will give you a link to that piece, of course, at Copyblogger.FM. My favorite quote from her piece was when some event planners from that reality-based perspective sat down with the organizers and let them know that it would be mind-meltingly expensive, like $15 million, to make this happen, and it still would not be the experience that had been marketed, the experience that had been sold. And so they advised that the organizers cancel the event for this year and start working on it next year, and somebody on the marketing team said, quote, “Let’s just do it and be legends, man,” end quote. So that’s kind of the anthem, right, for that “reality is overrated” point of view. You know, we used to have a saying, when I worked for a travel company, “Marketing sells the dream, and operations delivers the nightmare,” and that was tongue-in-cheek, it was a very nice travel company with lots of very lovely travel experiences, but that’s always a bit of tension, right? You sell the beautiful dream, but then you’ve got to deliver something, and sometimes that something doesn’t match the beautiful dream. So, assuming that you are not a mogul who is organizing an ultra-luxury hedonistic music festival somewhere, I still think there are lessons that normal everyday folks can learn from the Fyre Festival. The first one is that a great attitude does not overcome concrete physical reality, and it’s definitely … You know, in my culture, as an American, that statement is challenging for some people. There is a widespread belief in the US in particular — and not only the US, of course — that if you have a really good attitude, you’re very optimistic, and you’re willing to work hard, that you can change any reality. And that is, you know, in some ways kind of beautiful and admirable, and sometimes it works out really well, but you have to recognize that that idea comes out of a position of having enough cash to solve most of the problems that come up. And not every problem is a bill, and some impossible things are actually impossible. So I’m all about having a great attitude, but I’m also all about actually looking at the truth, and really opening your eyes, and really dealing with what’s in front of you, instead of a beautiful picture, because it actually gets more great stuff done, you know? Really acknowledging what’s really there in front of you is what’s responsible for the best work, not just sort of drowning in a dream, an optimistic dream that has no basis in the truth. Answer two, or lesson two: Listen to your front line. In other words, listen to the people you are working with who are close to the ground. People who talk to your customers, or, you know, if you have somebody answering your email, or if you have anybody helping you out, really listen to those people, because they always live in actual reality. They never live in this kind of beautiful optimistic dream world. And so if you work with people — this is not necessarily people who work for you, sometimes it’s people who work with you — make sure that you have made it safe for other people to tell you the truth. We talked about this a little bit when we talked about the United Airlines problem. Make sure that you are not chasing away the truth by your attitude, by how you handle it, by how you handle bad news. It’s much better to hear bad news when it’s little than it is to have to wrestle with it once it gets big. Now, lesson three. This is of interest to almost everybody who publishes on the web, including all of those social media sites like Instagram. We’ve got to talk about influencers and disclosure. So, the Federal Trade Commission in the US is really starting to wake up and get cranky about people who promote stuff on their blog, on Instagram, anywhere online — you know, I don’t care what it is — and who don’t disclose that this is a promotion. You have to disclose it. If you get a free thing, and then you take a picture of it on Instagram and say, “This thing is cool,” you have to disclose that you got it for free, and you don’t disclose that, like, far away, or in your bio, or any of that. You have to do it right in the post. You don’t have the kind of legal team that the Jenners and the Kardashians do to fight this stuff, and truly, it doesn’t … It won’t hurt your conversions to just go ahead and disclose it, so just … If you haven’t been in the habit, because a lot of people got, you know, out of the habit of disclosing, because it didn’t really seem like it was a big deal, it’s becoming a much bigger deal. And when you have a situation — you know, Fyre Festival is an extreme example, where people are tossing around the term “fraud” — if you have promoted this and then not disclosed it, you’re just kind of turning up the heat on a bunch of hot water. You just don’t want to … You don’t want to go there. It’s not necessary, and it’s not smart. So disclose all of your affiliate relationships, disclose if you’re making a commission, disclose if you got something for free. Just, you know, just go ahead and disclose that. It’s really important. And then I’ll wrap up this part of our, you know, “taking comfort in other people’s misfortune” segment by talking about owning responsibility. This was never going to be, like, a great situation. The organizers had a very big vision for this thing, and they really were in way over their heads, and it did not work out well at all. One of the organizers is rapper Ja Rule, and he apologized for it, but like a lot of people, his apologies weren’t very effective. So I’m not going to pick on him, but I am going to give you a quote and talk about way that you can maybe not make this mistake yourself. Quoting from the apology: “I truly apologize, as this is NOT MY FAULT … but I’m taking responsibility,” and then, end quote, the statement continues. Okay, so “not my fault” is in caps there. It is not taking responsibility when you put “not my fault” in caps. You know, you probably are not in a position to make a mistake this public and this embarrassing, and that touches this many people and will cost this much money. But, but when we make errors — and, you know, in the reality-based world, we all do make errors — you want to own them. You want to own your responsibility, and part of owning your responsibility is not to just rush to, “It’s not my fault.” Now, I’m sure there were other people besides this person who made bad mistakes that created the problem. That’s just how it goes, and when you are the organizer, when you are the person putting it together, you’re responsible for checking in, and if it goes south, you’re responsible for that too. So, honestly, owning responsibility and stepping up and being a grown-up is so powerful, and like a lot of these things, it becomes more powerful because so few people do it. So I’ve been talking with folks lately about the question of will reality-based reality become a counter-trend to this just curated, carefully selected, kind of truth with everything cropped out, so that it becomes a lie, and I think that the real world is going to become a counter-trend. I think it already is becoming one. Of course, these people with the curated lives are very popular, they’re massively popular, just like film magazines were popular in the ’40s and ’50s. You know, celebrity gossip magazines are always popular. But there really are a lot of not-so-curated people who are online right now, creating content that shows a lot more imperfection, a lot more mess, a lot more honesty, and I think that counter-trend is going to be very powerful, and I think it’s one that anybody listening to this podcast could start to embrace, and start to claim the power in it. You know, when you are really up front about the truth, and when you come from a position of real integrity, it’s harder for people to throw stones at your glass house, right? Nobody can blackmail you with the truth, because you live the truth. So I think it is going to be increasingly something that audiences respond to, and I think it’s something that audiences have always responded to. We respond to integrity, and we can tell when we’re being bsed. And we might … You know, we might buy into it for a while to entertain ourselves, but I think at the end of the day, integrity is really what creates trust, and trust is really what creates real success. And I will wrap up today with one more little story about things you should not do involving the Internet. So, Chicago-based urban planner Chris Devins. This is somebody, he does a lot of murals, he does a lot of planning in Chicago, and he found a cool image of Michelle Obama on Pinterest, so he decided that he would take that image and make a mural out of it. You know, it’s a mural, it’s prominent, right? It’s two stories high. He threw a GoFundMe, he raised $12,000 to pay for it. So, at this point in our lives, I really would hope that anybody older than about 10 years old would know that “I found it on Pinterest” does not mean you have the right to grab it and use it, especially for this kind of piece, you know, a two-story-tall mural that you had to raise $12,000 to complete. So the piece was the work of a person, art student, Gelila Mesfin. I’m probably mutilating her name, which I apologize for. Now, she did base it on a photo that she had used. She was an art student, I believe, when she created it, and she credited the photographer and shared the photo, shared her work on Instagram, and of course, as happens, that work got pinned and copied and shared, and it got pinned on Pinterest, and it lost the artist, the person who pinned it didn’t credit her. It’s not that simple, but you do not need to be an expert to know that you cannot yank things off of Pinterest and then just use them in that kind of incredibly public way without finding the artist. Because, when you get found out, and you are instantly going to get found out, right? Especially with something this public. The person, the painter who created the work that was based on a photograph found out about it within days. When you get found out, do not dismiss that artist’s anger by saying, “Well, I gave her hundreds of thousands of dollars worth of free publicity.” You know, these are just dumb things to do. Do not do these things. So, if you are going to use visual content that you didn’t create — you didn’t paint the painting, you didn’t take the photo, you haven’t acquired the photo and understand the license that you acquired it with, especially when money changes hands, but, you know, it’s not necessarily the only time you have to do it — find the person who created it, and talk about permission. Or, again, purchase it from a reputable firm that will sell images to you on a basis that makes sense for how you’re using it. An intellectual property attorney could probably write a long post about what is fair use and what isn’t in the statement, because remember, the painter used somebody else’s photograph to create her image, and so it is complicated. But, you don’t need to be an attorney to know that seeking out an artist who made a painting or a photograph, and talking with them about whether or not you have permission to use their work, is just the common sense decent thing to do. So I’m thinking maybe we could just solve all the world’s problems if we suggested a new rule: Don’t tell lies on the Internet. Because honestly, it just always comes back to bite you. So, that’s it for today. I hope these didn’t come across as overly negative, but I really think that we can all learn stuff from unfortunate events on the Internet, and we can learn principles that might help us stay out of hot water the next time. So that’s it for this time. Catch you next time, and take care.